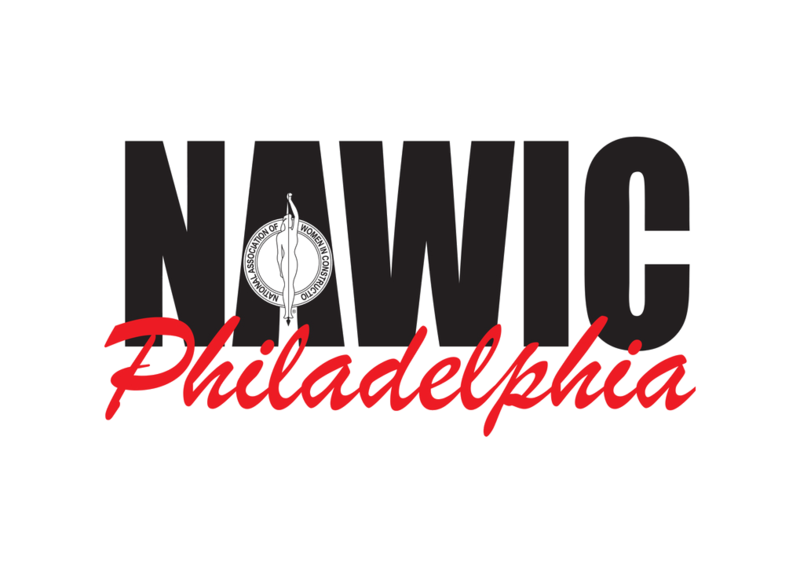 All items purchased from the NAWIC Philadelphia, PA Chapter will help to support the educational and professional enrichment of our membership. This ALL NATURAL beeswax lip balm is made in the USA in a FDA-compliant facility. It glides on smoothly and instantly moisturizes and conditions your lips for hours. This plush throw is perfect for cold nights and summer picnics! 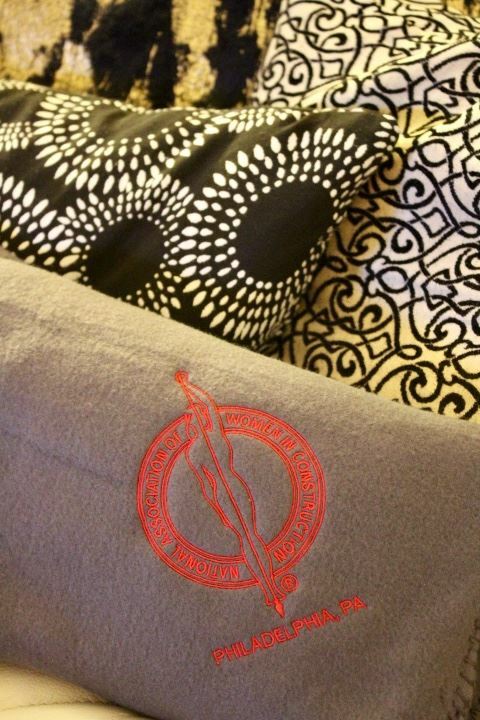 It also makes a great gift for any occasion and is great for travel, work, school, and sporting events. Plus, its puppy approved ;) Machine washable. Size: 62" x 48". 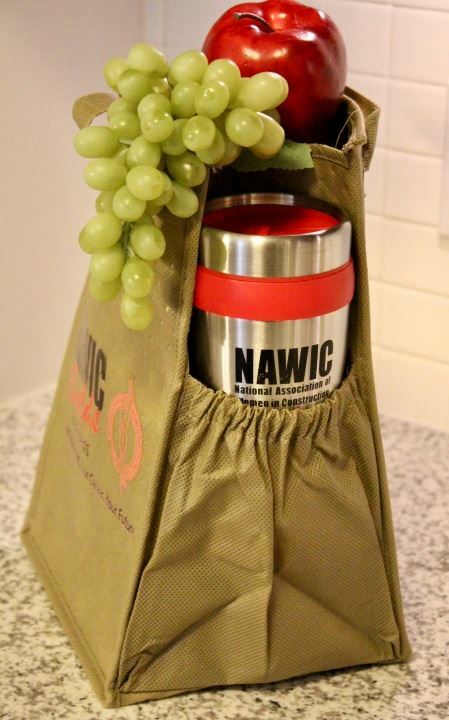 This sturdy insulated cooler bag is perfect for lunches on the go, or small grocery shopping trips. The zipper closure helps keeps your lunch contained and retains the warmth or cold temperatures of your food. Plastic bottom insert and dual reinforced 18" carrying handles offer convenient stability and portability. An elastic pocket is designed on one side for an extra drink! Bag size is 12" x 8" x 7". 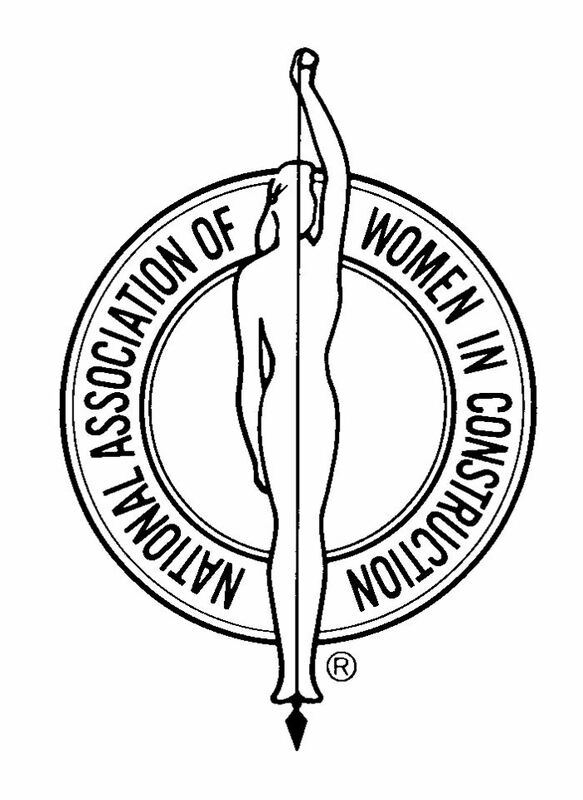 This beautiful journal is debossed with the classic NAWIC logo in an incredible leather-like look and feel finish. 160 pages of ivory lined paper make for great note taking and list making. Keep everything organized with an elastic strap and ribbon bookmark that allows you to protect your pages and quickly flip to where you left off. Size: 8-3/8" x 5-1/2". 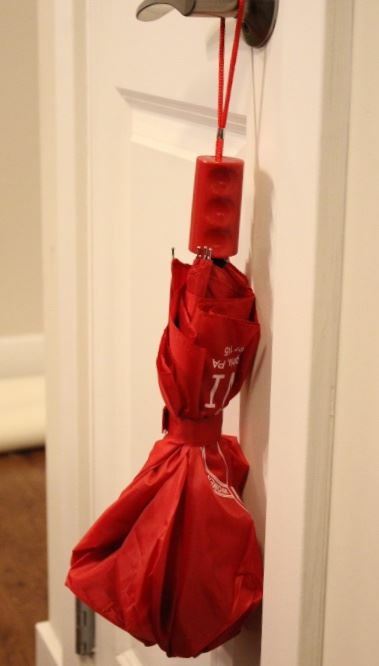 This umbrella is perfect for a rainy day. It can easily slip into your computer bag or backpack for easy on-the-go travel. With an auto open push button, you'll never be fighting to get it open. 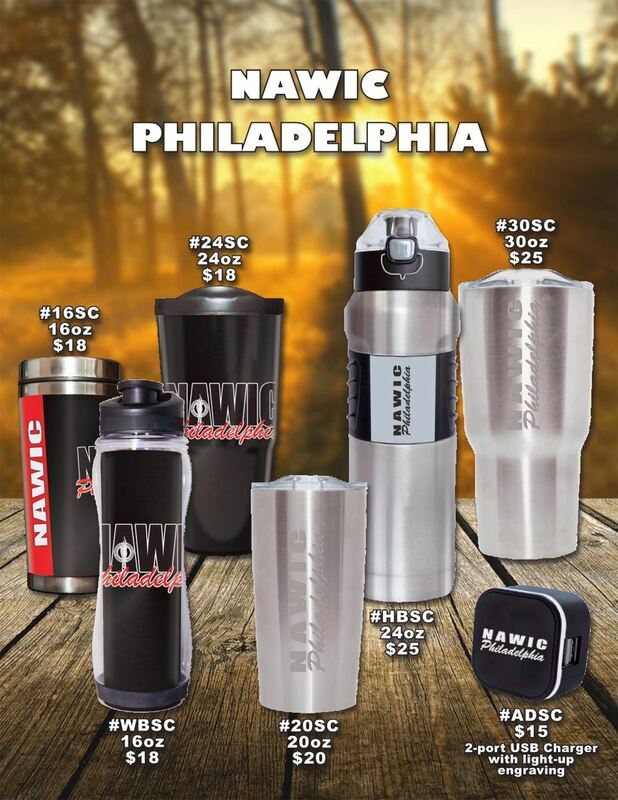 This sleek stainless steel travel tumbler is double wall insulated to keep beverages warmer, longer. It has a screw-on lid with thumb-slide closure. Holds 16 oz.